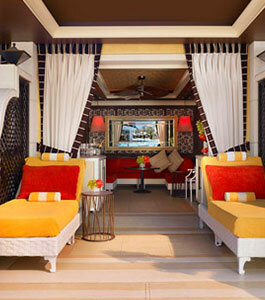 Awnings offer protection from the sun and rain but can also add color and distinction to entrance. They can be functional and colorful, full of graphics or clean and striaghtlined. Anyway you choose, let LVA can make your design a reality. 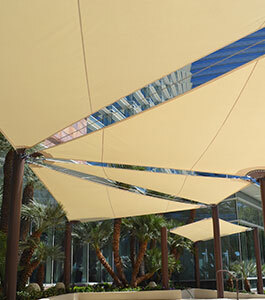 LVA has been synonymous with quality and uniqueness in providing our hotel and casino customers with cabanas and shade structures for their pool decks. Whatever your design needs, we will provide you with a product that will create drama, beauty and an image your patrons will remember. 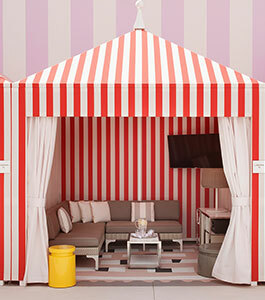 LVA offers a full line of pool accessories including day beds, curtains, umbrellas, water kiosks, check in stations and sundries cabanas. We can design and manufacture custom pool accessories to your specifications. 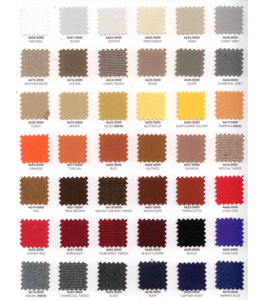 Las Vegas Awnings now offers exterior Fabric facades using Serge Ferrai brand Fabrics and state of the art aluminum extrusions by "Facid". 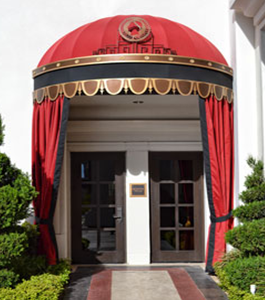 Let Las Vegas Awning transform your facade into a work of art. These are examples of both their products. Tension structures allow for significant creative freedom to develop complex geometry. 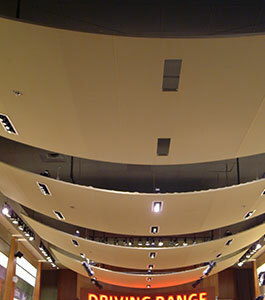 With the use of "state of the art" 3D design tools, form finding and patterning, LVA has the capability to design, fabricate, and install custom fabric structures. All components and assemblies are CNC machined and constructed at LVA facility, thus ensuring a proper fit and reduced on-site install time.